I’m pleased to announce that I’ll be participating in a group show in Brooklyn which opens November 9th. 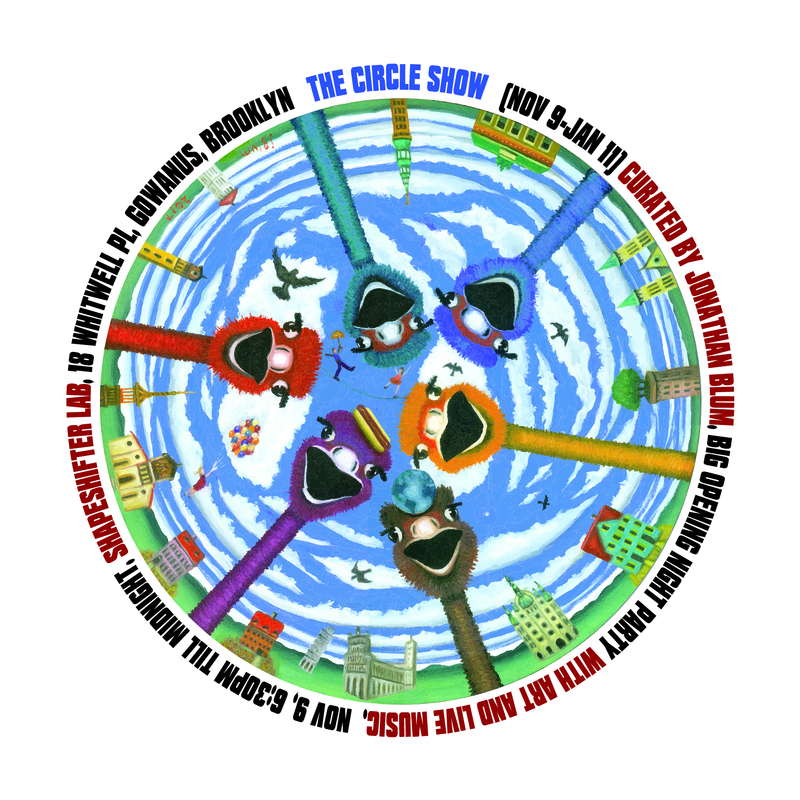 “The Circle Show” will feature work that is entirely circular! 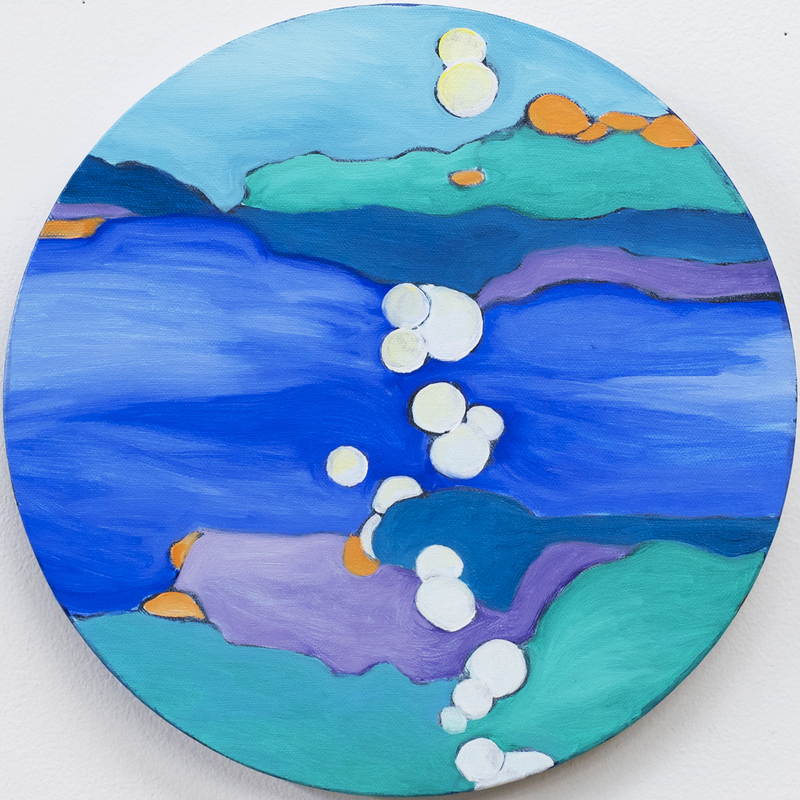 I created some circular pieces back in 2014 for a group endeavor I participated in on Governor’s Island, and I was just thinking earlier this year how interesting it would be to create some more paintings on circular supports. Coincidentally (are there really any coincidences in the universe? ), shortly thereafter, my friend Jonathan Blum approached me about his idea for a Circle Show. So it is happening! It will be at Shapeshifter Lab, 18 Whitwell Place, Brooklyn, New York. 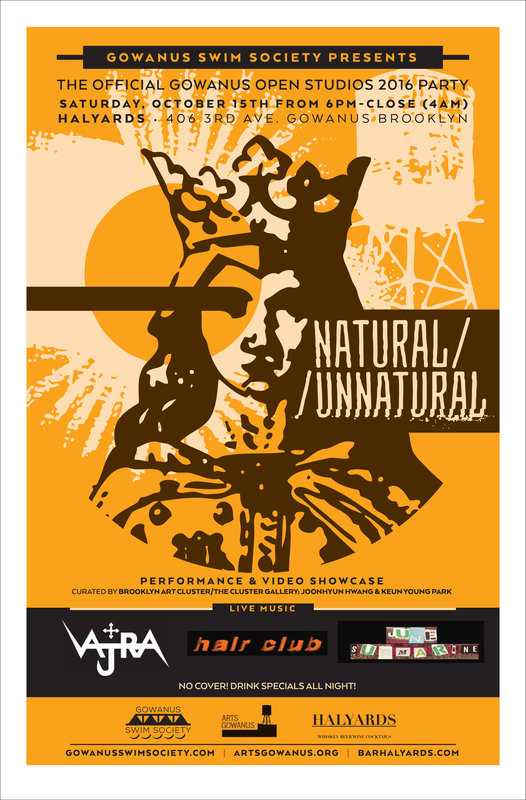 The show opens this Friday, November 9, 6:30pmto 12 midnightand the artwork will be up through January 11. I hope to see you there! You can read more about the pieces I will have in the show on my Patreon page. And, by the way, my Patreon experiment is just a little over one year old now. Have you visited? 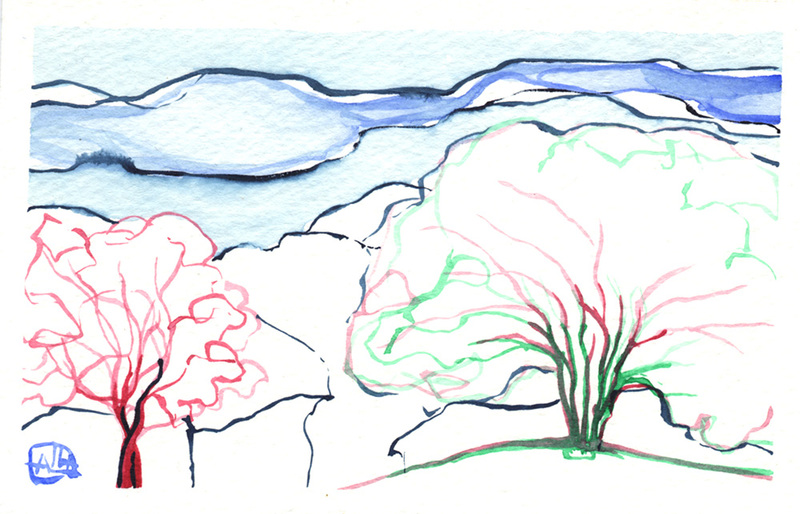 Stop by, say hi, and earn how you can support living artists on Patreon! Hello everyone! I had not planned to show any work during this year’s Gowanus Open Studios (happening this weekend, October 20-22), but a last minute opportunity presented itself. 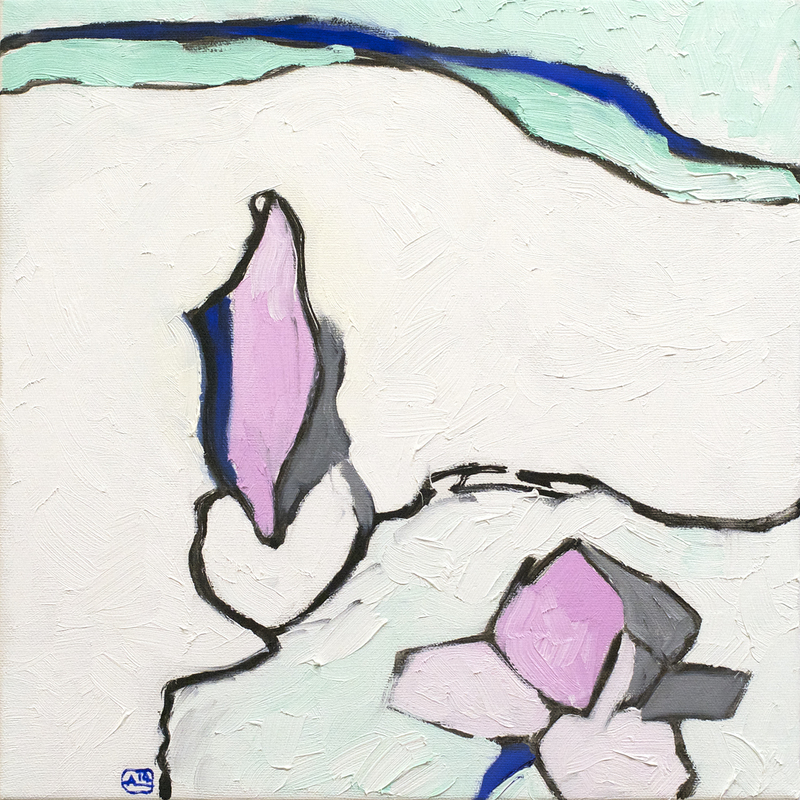 Abby Subak, Director of Arts Gowanus, reached out to artists who formerly had studios in Gowanus, and asked us to participate as “Gowanus Emeritus Artists” in the “Silent Auction & Garden Party: One Piece Per Artist GOS 2017” show at 313 Butler Gallery. So — my piece, “View from beneath the surface #1” will be included in the show. The event, a silent auction, happens Saturday night, October 21 from 5-9 at 313 Butler Gallery, at 313 Butler Street in Brooklyn, New York. The art remains up through November 13. 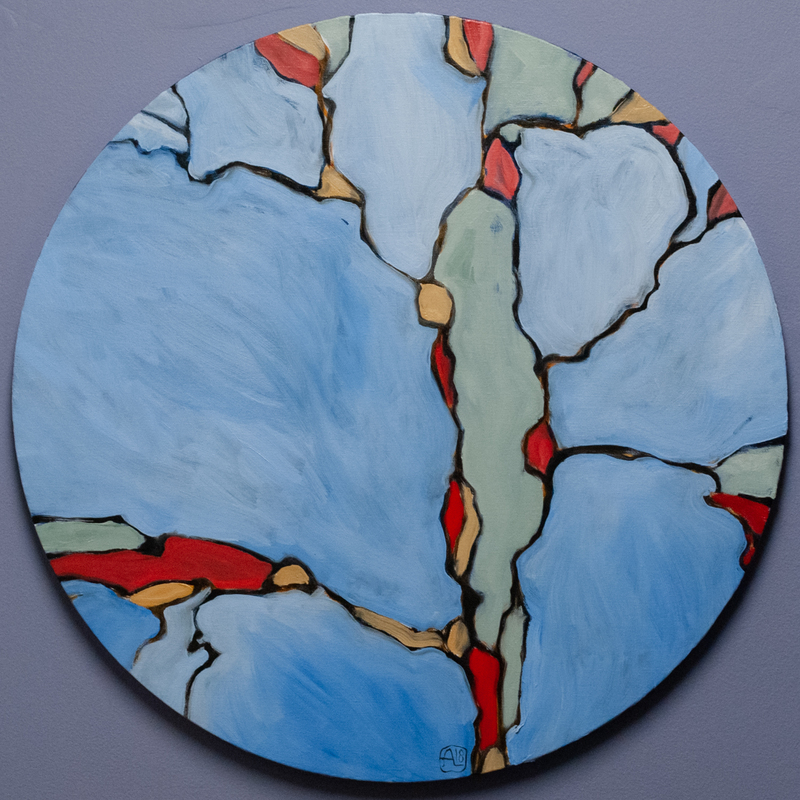 “View from beneath the surface 1,” oil on canvas, 12″ diameter, 2014. The full event description can be found on Facebook, here. 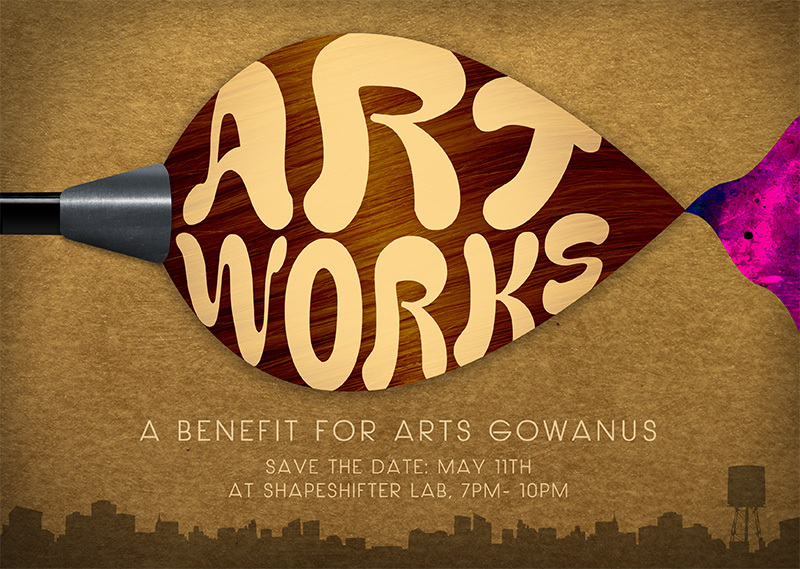 I’m pleased to announce that, once again, I will be contributing to this year’s ArtWorks — a benefit for Arts Gowanus! This year’s event happens Thursday, May 11, 2017, 7 – 10 pm at Shapeshifter Lab, 18 Whitwell Place, Brooklyn, NY 11215. I will be there! 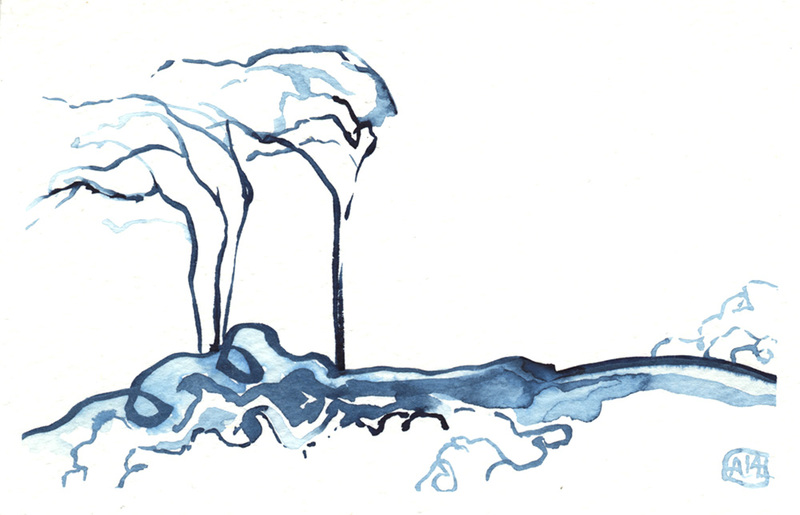 Need I say that this is a rare and amazing opportunity to obtain one of my Lifeworld paintings at an amazing price? 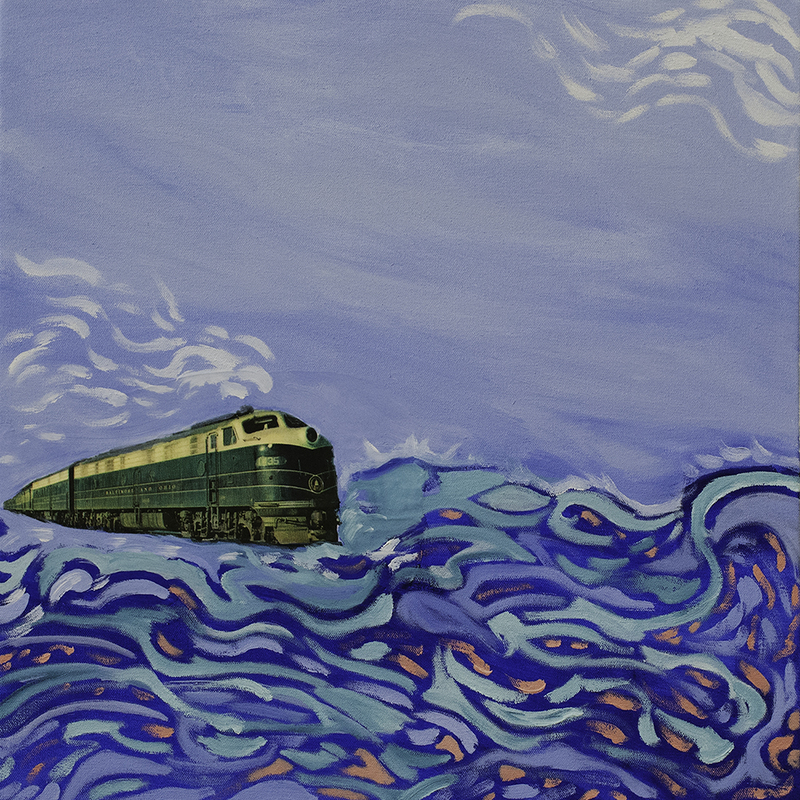 By buying a ticket to the ArtWorks event you are buying a chance to “win” this fabulous painting along with 74 other great works made by artists working in Gowanus. Plus you’ll support the critical mission of Arts Gowanus to promote, support and advocate for local artists and a sustainable arts community in the Gowanus neighborhood. 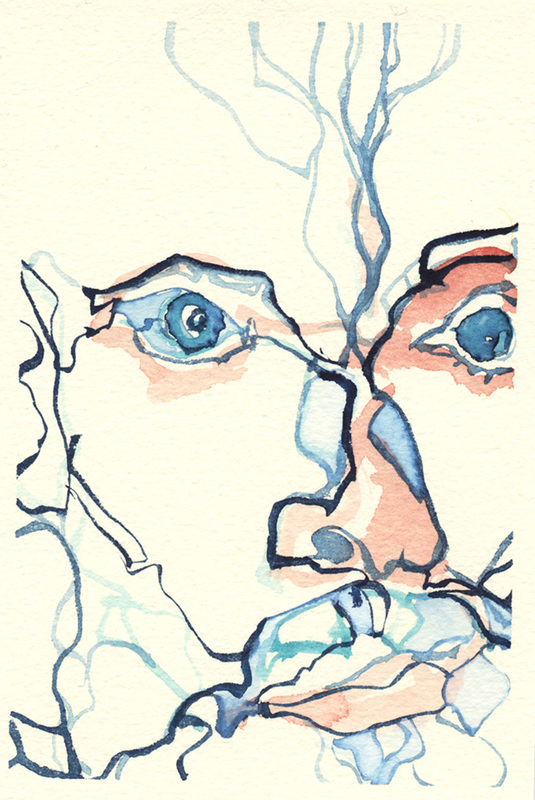 Here’s a link to some of the other artworks available. In case the art isn’t appealing enough, don’t miss the food, drink and revelry. Tickets are on sale now, $250 single, $300 for couple, which entitles you to one original work of art… Click here to buy tickets! Ticket sales are limited, so act fast! 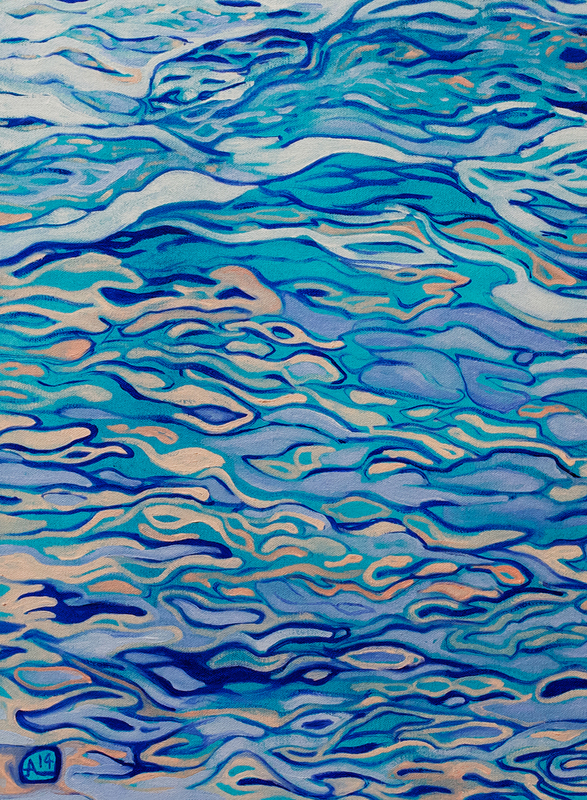 Gowanus Open Studios is mere days away (you’re coming, right? – Saturday, Oct. 16 and Sunday, Oct. 17, 12-6pm — details here)! Looking back, I’m amazed to see that this year’s tour will be the NINTH that I have participated in. Yes, that’s a “9”! So, in celebration of this big number 9, I thought I’d offer to you a little photo-retrospective of my past nine years in Gowanus. It all started in in 2007, when I begin renting studio space in a cool place then known as “Brooklyn Artists Gym“. 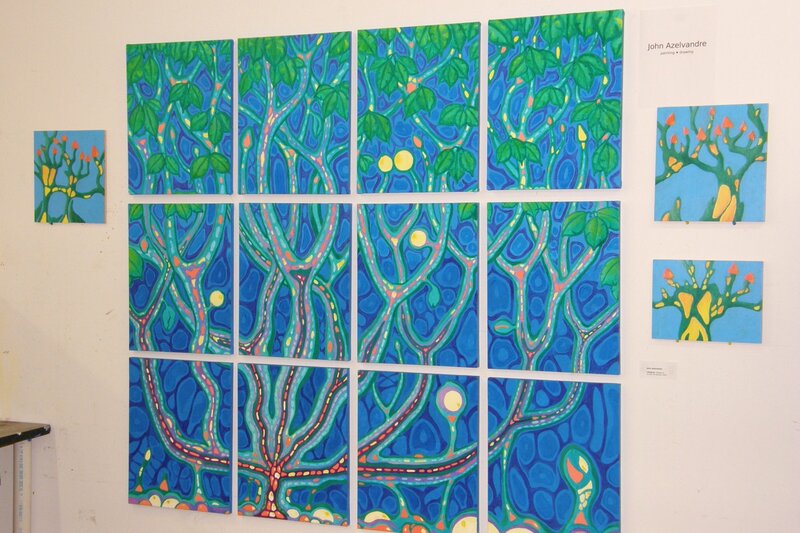 Lifeform (polyptych), acrylic on canvas, 2003-2007. 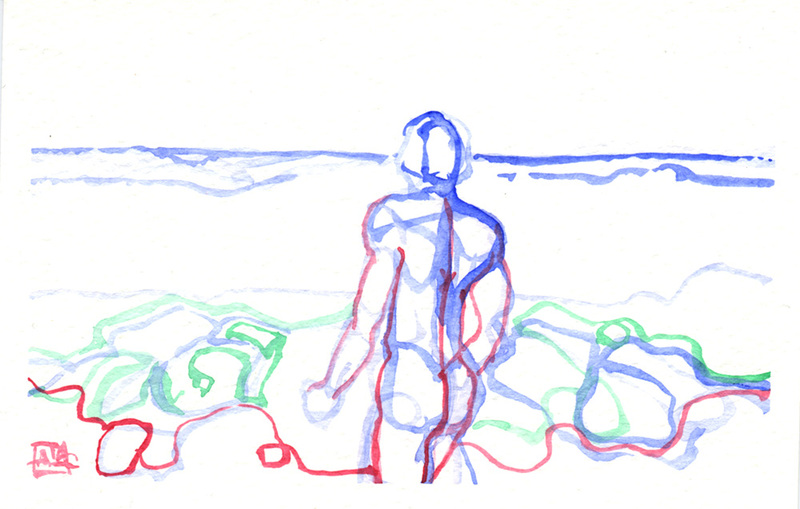 That year I was bound and determined to complete an ambitious polyptych I had conceived and started way back in 2003. Me with new work at AGAST 2008. Damn, I look young in this photo! By the way, back then, the studio tour was known as A.G.A.S.T., which means … what the hell did it mean? Anyway, fun times and boy do I look young in this photograph! AGAST in 2009. Individual canvases and lots of small work. During 2007-2009, I worked and displayed in BAG’s communal space. The studio tour set-up in 2010 — my very own permanent (semi-private) space! 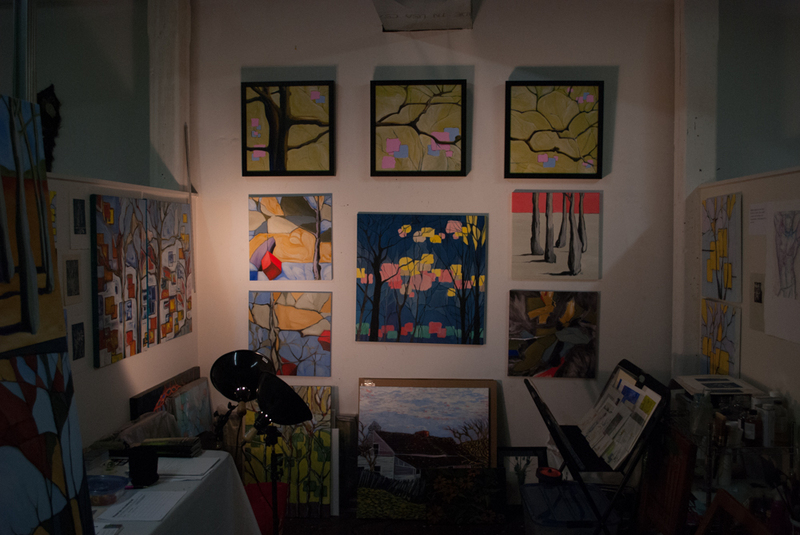 Gowanus Open Studios in 2011. That year saw the start of the “Manomayakaya” series. Open studios in 2012: Reach triptych, Manomayakaya #2, Lifeworlds 1-4 and lots of other good stuff. Lifeworlds and Paysage planétaire (Colden) on display during GOS 2014. 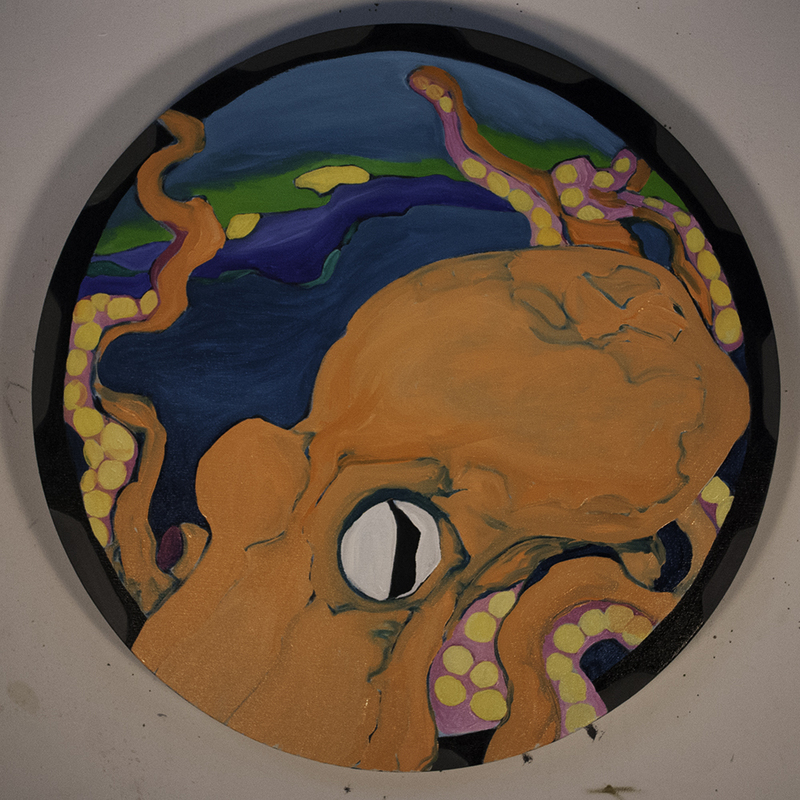 Le Poulpe (the Octopus) escaped from the Gowanus Swim Society exhibition on Governor’s Island and resurfaced during GOS 2014. So there you have it! I hope you’ll come out for this year’s Gowanus Open Studios! This weekend, October 17-18, in Gowanus, Brooklyn! 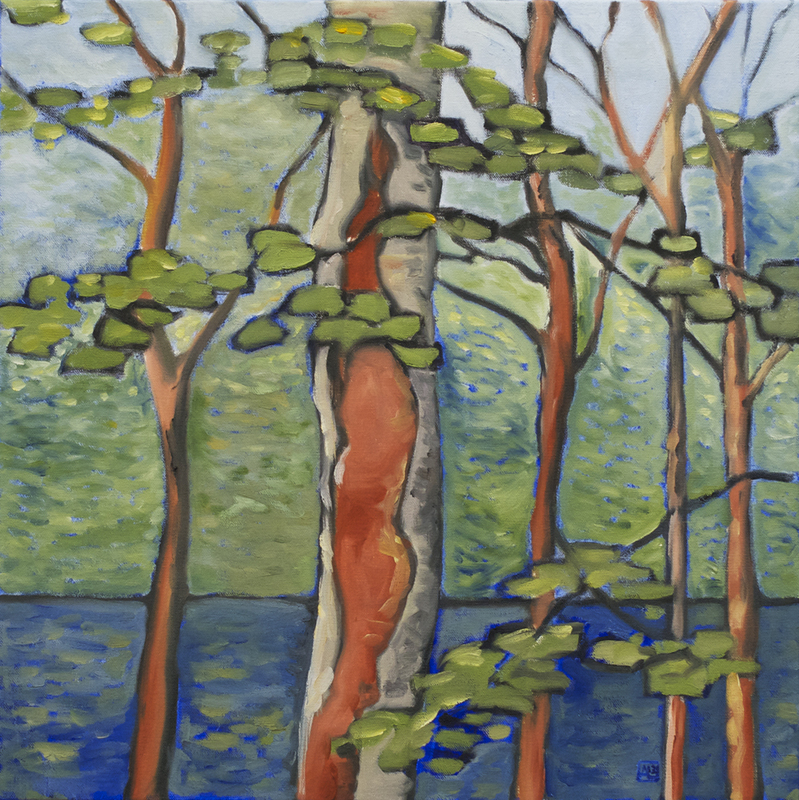 Gowanus Open Studios is almost here! Happy October everyone! Gowanus Open Studios takes over Brooklyn in less than 2 weeks (October 16-18) and I’m involved in several exciting events during that weekend. The Studio Tour weekend starts Friday October 16 with Beat Nite Gowanus, a Norte Maar production. I’m pleased that Gowanus Swim Society – the neighborhood artists collective I’m a part of – has been included in the Beat Nite Gowanus Gallery walk. The event runs from 6-10 pm Friday night. Come by Halyards Bar to get a preview of Gowanus Swim’s show Telestrations! See all the details on the Beat Nite Gowanus website! Gowanus Open Studios starts in earnest on Saturday, October 17. Studios throughout the neighborhood will be open from 12 noon to 6pm on both Saturday and Sunday, October 18. 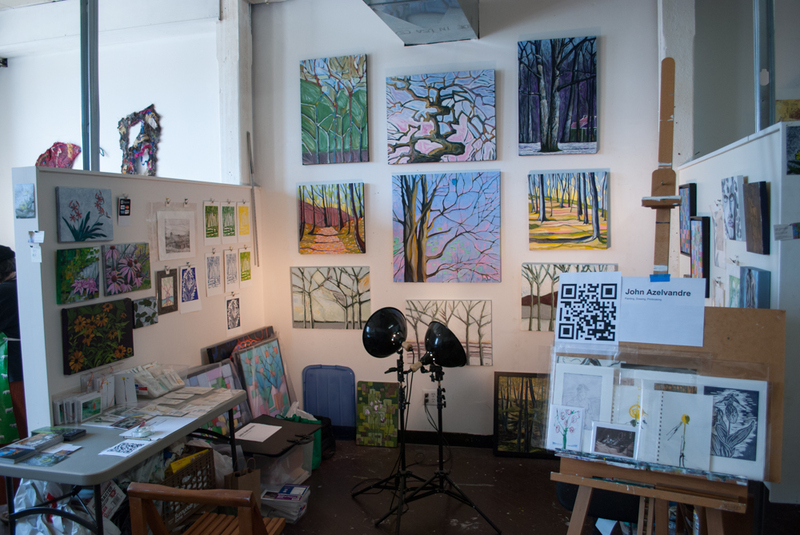 Find me in my studio at Brooklyn Art Space, at 168 7th Street, 3rd floor (that’s between 2nd and 3rd avenues, Brooklyn). 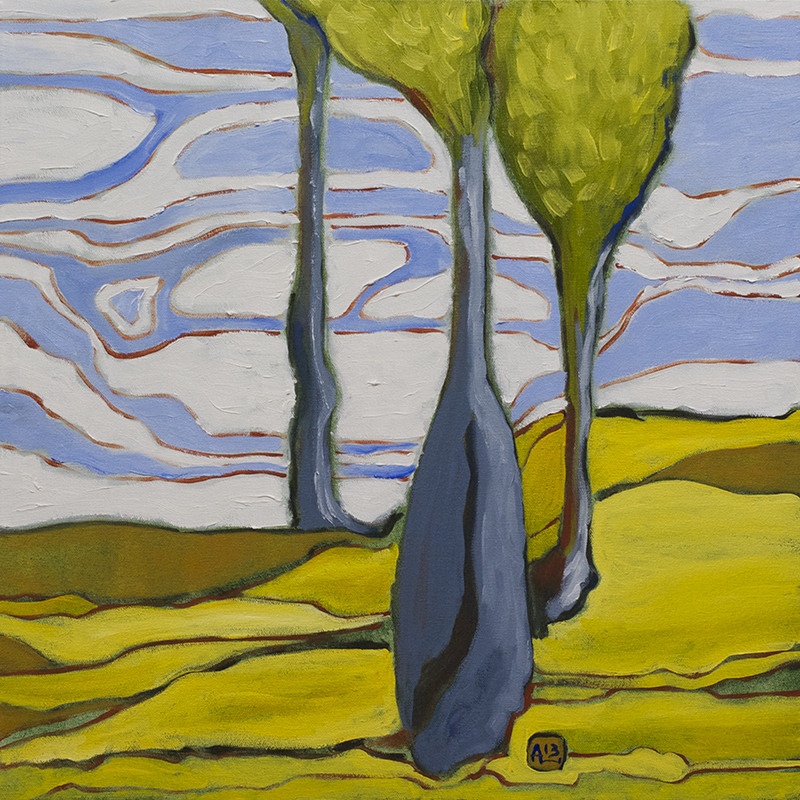 “Lifeworld 33”, oil on canvas, 20x20in., 2015. On Saturday night Gowanus Swim Society hosts Telestrations, the official Gowanus Open Studios Saturday night party! See more of my art along with work by all of the Swim Society plus specially curated video and performance and live bands! The party runs from 6pm to 4am. The party is at Halyards, 3rd Avenue and 6th Street (Brooklyn, of course). All the details are on the Facebook event page. Whew! It will be a busy weekend! I hope to see all of you somewhere along the way! 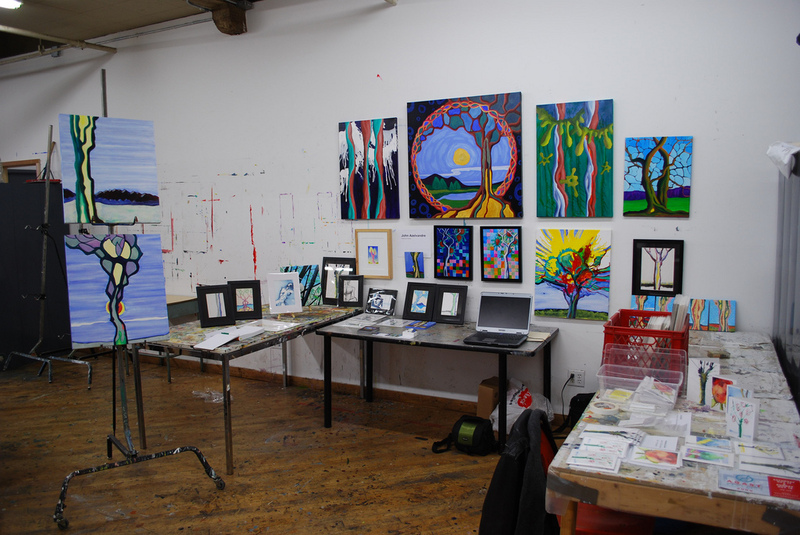 Upcoming: Gowanus Open Studios and a Call for Submissions! Wow, it’s already mid-September and Gowanus Open Studios is just around the corner, happening on October 16-18! What makes this year’s Open Studios even more fabulous is an exhibition of art, video and performance at Halyards Bar on the weekend of the tour. Our neighborhood artists’ collective, Gowanus Swim Society has put out a call for submissions. Emerging and mid-career video and performance artists are invited to submit their work for consideration in our October 17th exhibition and showcase, Telestrations, presented in partnership with Arts Gowanus and Gowanus Open Studios. We are looking for work that broadly addresses the themes of translation, communication and play. What does it mean to be misinterpreted? Misconstrued? Can it ever be a good or funny thing? All submissions will be considered by our Guest Curator Alex Sloane of MoMA PS1. About Gowanus Swim Society: Established in January 2014, Gowanus Swim Society is a collective, guild, skillshare, crit group and social club. Comprised of a ten Gowanus based artists who meet regularly and provide a forum for sharing information and artist resources we have exhibited together throughout New York City. For the first time ever, we are presenting the general public with an opportunity to join us. 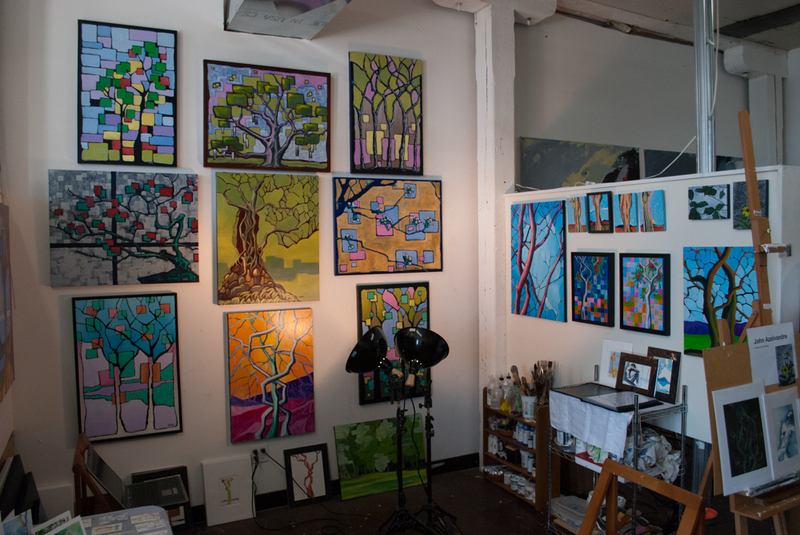 About Gowanus Open Studios: Now in its 19th year, Gowanus Open Studios is an annual open studio event in which over 300 artists open their studios to the general public for the third weekend in October. Artist studios and other sites will be open from noon-6pm both Saturday and Sunday. Evening events are scheduled Friday through Sunday. Gowanus Open Studios 2015: October 17-18th About the Curator: Alex Sloane is a Curatorial Assistant at MoMA PS1, NY where she focuses on the Sunday Sessions performance series, a weekly presentation of performance, moving images, dance, music, and discursive programs that embrace live arts as an integral aspect of contemporary practice. In addition to Sunday Sessions she assisted most recently in the organization of the exhibitions like Anne Imhof: Deal (2015) Retrospective by Xavier Le Roy (2014) among others. Prior to joining PS1 in 2011, she was co-founder of the Lower East Side artist-run project space 1:1. She received her BFA from Parsons The New School for Design in 2011. If you are an artist working performance and/or video, please check out our Call for Art! As many of you are aware, my studio is located in the Brooklyn Industrial neighborhood Gowanus, named after the infamous creek/canal called Gowanus (once upon a time it was a salt marsh estuary/creek, but it has been a rather filthy industrial canal for at least the past 150 years). 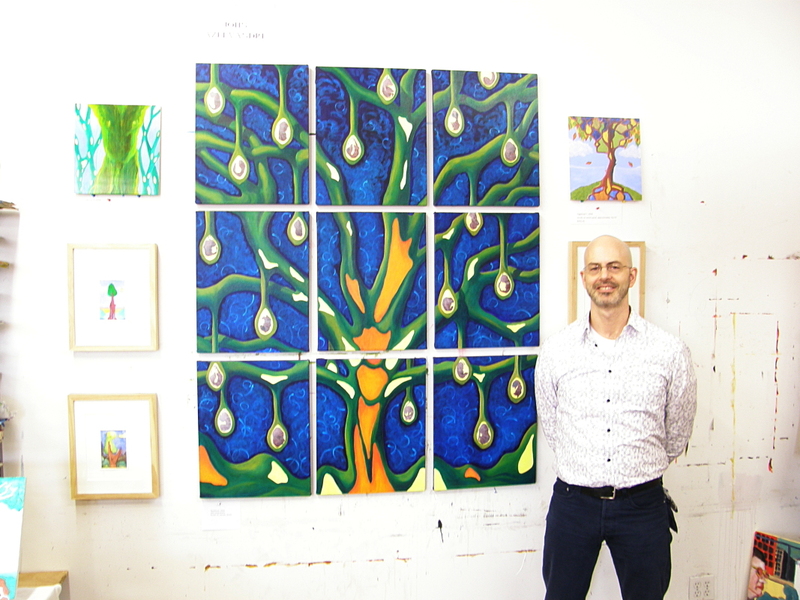 We have a vibrant community of artists in Gowanus, with many arts events happening each year, including the annual Gowanus Open Studios studio tour, in which I have participated every year since 2007. 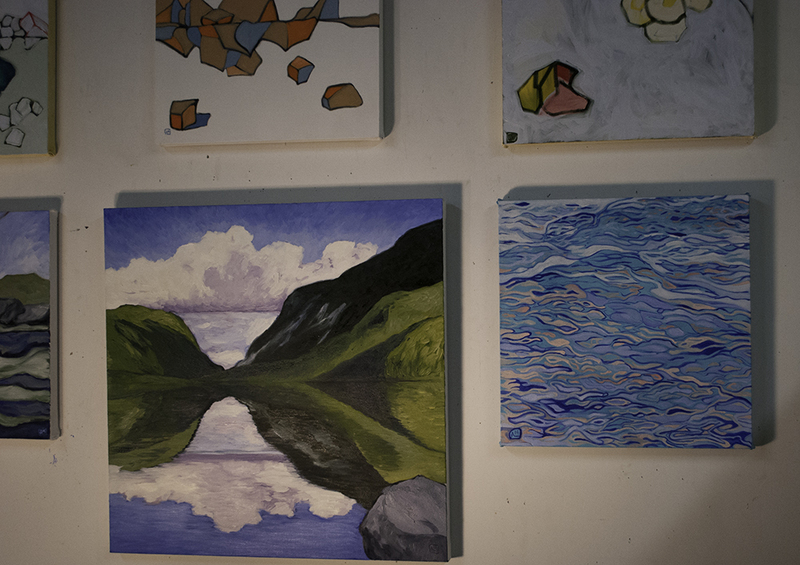 Arts Gowanus is our local arts advocacy organization that puts together the studio tour. Their mission is to support artists and the arts in the Gowanus neighborhood and to create a sustainable artistic community here. In addition to the neighborhood-wide Gowanus Open Studios, Arts Gowanus offers workshops to support artists, and they have built an incredible community of artists through their networking events. 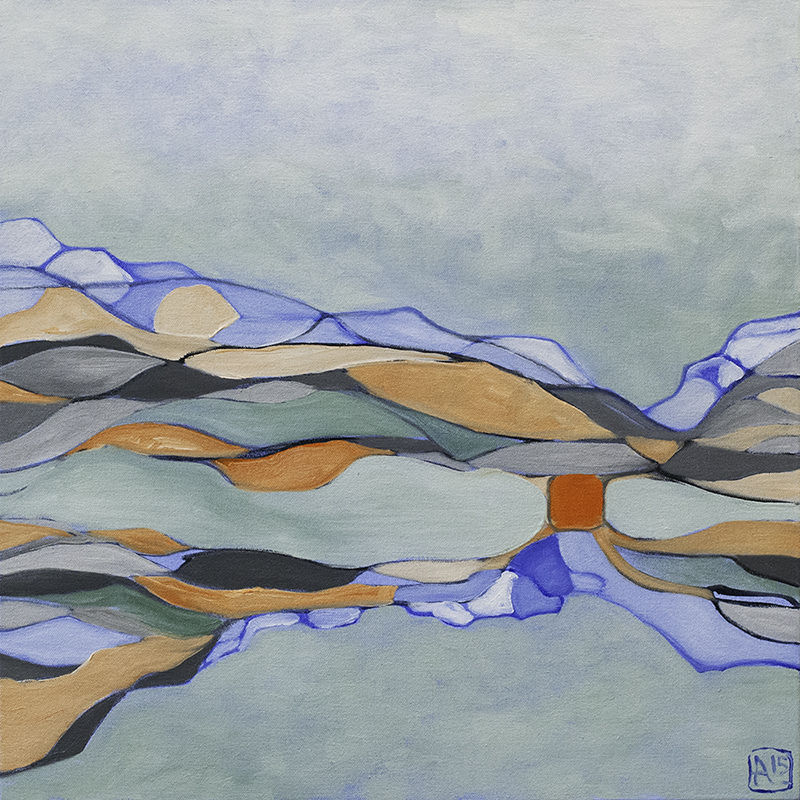 I am donating my piece “View from beneath the surface 2” (pictured below). It can be yours for the $200.00 ticket price! You may remember that this piece was in the Gowanus Swim Society installation on Governor’s Island last fall. To read more about the event, visit the Arts Gowanus website. There is also a Facebook event! I will be there Thursday, May 28 (7-10) and I hope to see you then! Back in October, I started a new, year-long project to document my ongoing practice of visual exploration. I think of this exploration as central to the work of the artist. 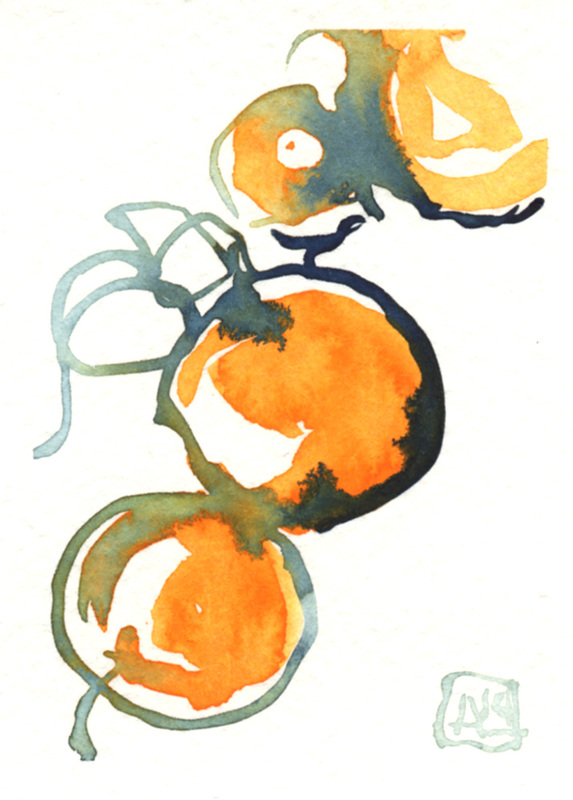 I’m calling the project simply “365” and the end result (to the extent that a project like this ever ends) will be 365 small watercolors presented at this year’s Gowanus Open Studios, October 17-18. I started the project on or about October 19, immediately after last year’s Open Studios, and we are now more or less at the six-month mark. So I’m evaluating how the project is going and taking a first crack at formulating some sort of artist’s statement about the work. I’m also beginning the arduous task of scanning some exemplars of the work. I’m certainly not going to scan all 365 pieces I create! The project is bookended by the Open Studio event that happens each year in October. I’ve taken part in Gowanus Open Studios every year since 2007, and I’ve often experienced it as the beginning and end of my artistic cycle. So what goes on in my typical artist’s year? 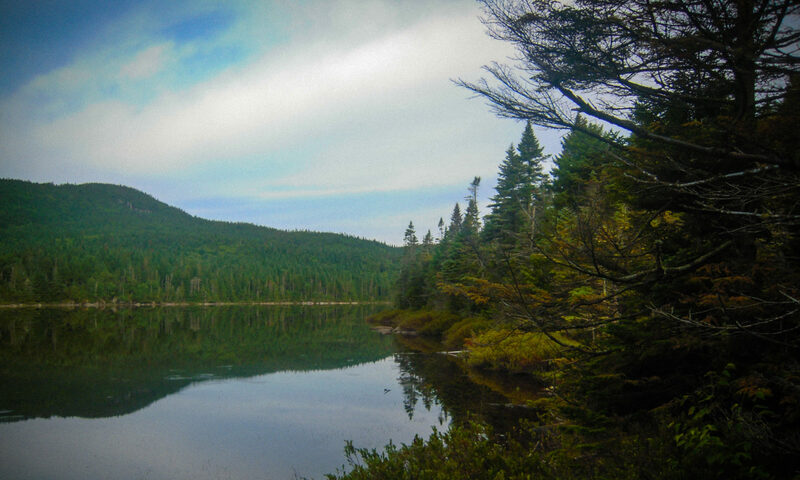 This project seeks to outline just that. It represents a year in the life of the artist — or in other words, a year of practice, process and exploration. 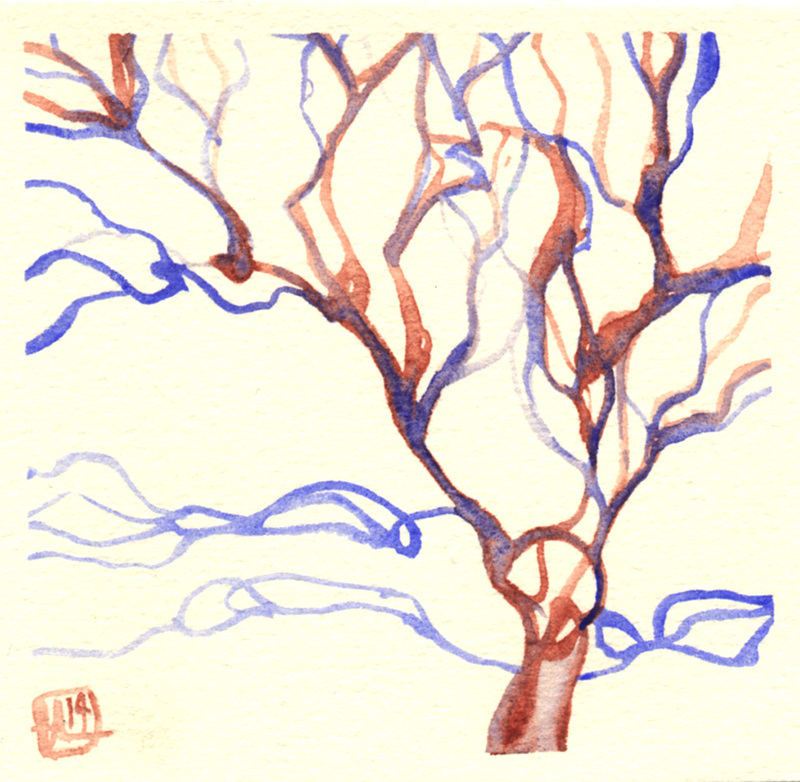 As I said, all of the work created for this project is small (between approximately 3×5 inches and 8×8 inches) and all of the work is watercolor. 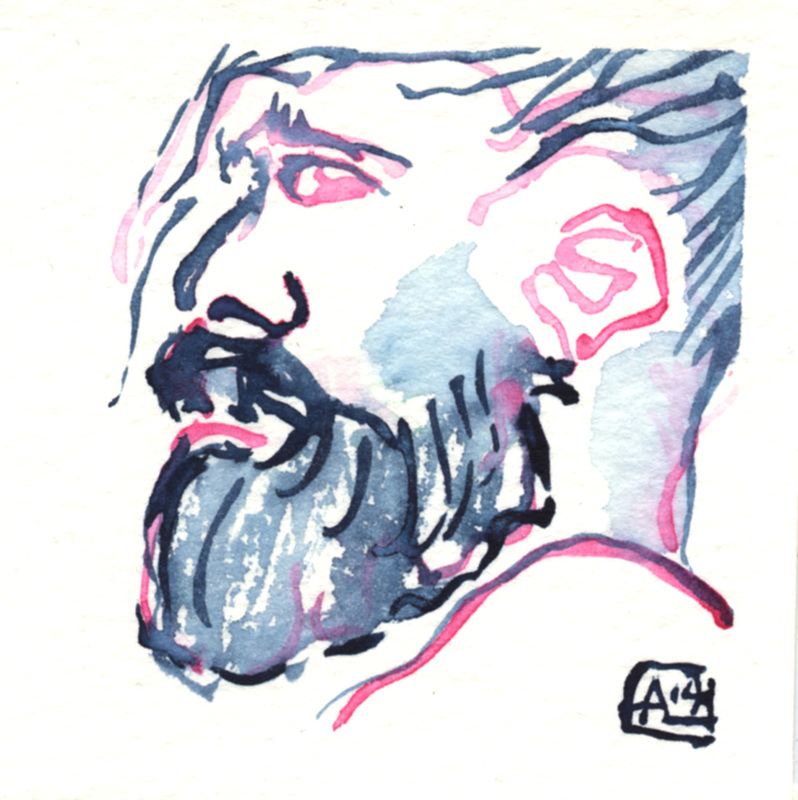 Included are portraits and self-portraits, improvised sketches and landscapes real and unreal, life-drawing, completely abstract work, flights of the imagination and studies for future larger paintings. All stuff of which the artist’s practice is made. 365 pieces will be displayed in October, and all will be offered to the public on a “pay as you wish” basis. Here are some exemplars of the work created so far. Mark your calendars now! 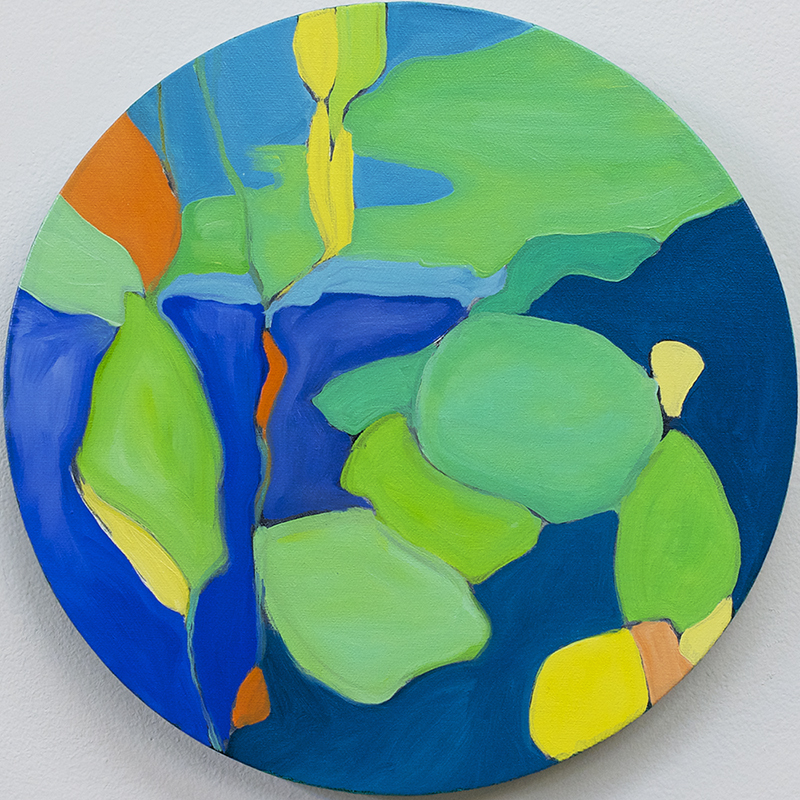 Gowanus Open Studios 2015 is October 17-18.